Want to win a free code of Watch Dogs for the PC GaminRealm will be hosting a Watch Dogs giveaway starting now up until the game’s release. Register on GaminRealm if you haven’t already. We won’t be giving a free copy to someone who isn’t even a part of the site! Subscribe to the official GaminRealmHD YouTube channel, which in the near-future we’ll be uploading exclusive content to. Also subscribe to the GameInfo87 channel, which is our second channel hosted by site owner Marlon Reid himself. Follow our Twitter account as well as like our FaceBoook page. The winner will be chosen completely by random. And yes, we will actually be checking on whether or not you have an account on the site, have followed and liked us, and are subscribed to both of the channels mentioned above. You may comment on here and https://www.youtube.com/watch?v=ZfrJ9oRXCYs and don’t forget to sub on Gameinfo87 YouTube Channel. 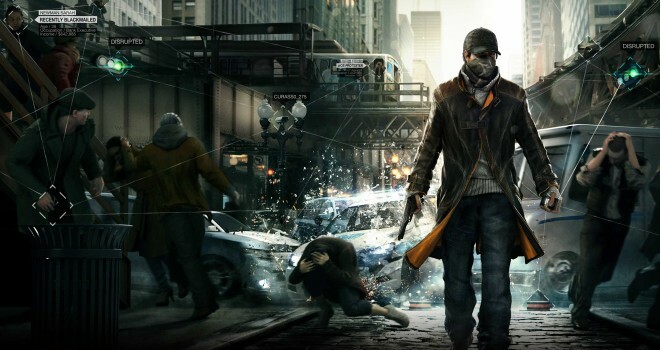 All this is made possible thanks to Ubisoft for actually offering us Watch Dogs to give away to our fans. So a huge shout-out and thanks to the good folks over at Ubisoft! Thanks for the giveaway 🙂 Really appreciated. I won’t be able to like the FB page since I don’t use FB. Other than that I have done all the requisite. Subscribed to all the youtube channels and really want to win this give away!!! Ah man. I do not have a twitter nor facebook neither want one. So I cannot participate. Its all good. Everything else is completed. Thanks for the giveaway! And I am enjoying the stream. Thanks a lot for the contest! I liked the Facebook page, followed the Twitter account, and subscribed to the YouTube accounts. I’m really psyched for Watch_Dogs!!! Thank you for this nice giveaway !